When deciding to study somewhere, it is important to know the local system and what your options are. University Colleges of Teacher Education. Doctor (at least 6 semesters following the master’s or diploma degree). The academic year in Austria, as a rule, begins on October 1st and ends on September 30th of the following year. Admission Procedures differs for EU and non EU citizens. Certificate of special qualification for university studies as proof that you qualify for a degree programme in your country of origin. 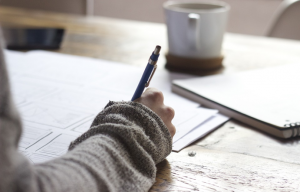 Some study programs may require an entrance examination. Make sure to ask universities for information regarding application deadlines, other specific requirements and examinations. The public universities fall under the supervision of the Federal Minister of Science and Research and the university councils. These councils are self-administration bodies, bound by no instructions. There are three Austrian universities in the QS World University Rankings 2014–15 Top 300. The nation’s leading university, the University of Vienna is 156th, Vienna University of Technology is 246th, and Universität Innsbruck is 288th. 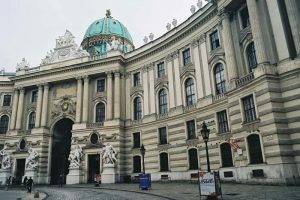 By the way, the University of Vienna is Austria’s oldest and largest university. Tuition fees for public universities are free for EU/EEA citizens and €726.72 per semester for students from third countries. You also will have to pay app. 18 Euro per semester for Student Union. Programs at universities of applied sciences are provided as bachelor programs, master programs, as well as diploma programs, and include a period of practical training. The programs may be provided in different organisational forms. In addition to full-time courses, there are a number of universities of applied sciences programs, which are provided, additionally or exclusively, for working students. Tuition is almost the same as in public universities. You will have to pay up to €400 per semester (if you are EU citizen) and app. €700 if you are non EU citizen. Students must also pay a €75 materials fee and dues for the Austrian National Union of Students in the amount of €18,50 each semester. In 1999, a federal law (Universitäts-Akkreditierungsgesetz) was passed to allow the accreditation of private universities. The Akkreditierungsrat (Accreditation Council) evaluates applicants and issues recommendations to the responsible Austrian accreditation authority (the Austrian Federal Ministry of Science & Research). Austria has 13 private universities. Most of them are small (fewer than 1000 students) and specialize in only one or two fields of study. The professors usually know the names of their students because they have only few students. This quickly creates a feeling if you are a big family. Private universities are more expensive. Prices depends on university and program you will choose. However, be ready to pay approximately €10 000-12 000 per semester. There are around 15 university colleges of teacher education in Austria, and they are situated in Vienna, Lower Austria, Upper Austria, Styria, Carinthia, Burgenland, Salzburg, Tyrol and Vorarlberg. The university colleges of teacher education provide future primary school, secondary school and special needs teachers with the opportunity to gain practical experience from the very beginning of their teacher training, and to put their abilities to work with children to the test. Tuition fees differ from one institution to the next. You need to contact the institution directly.